Since many consumers will not buy warm product, out-of-stock cold beer means being out-of-luck on sales. B-O-F shelving enables liquor stores to stock substantially more beer and wine than traditional flat shelving, resulting in increased sales and substantial labor savings. Customers find their brand every time and come back for more. Many stores realize ROI in one year or less. Customers who can’t find their favorite brands often walk away unhappy. 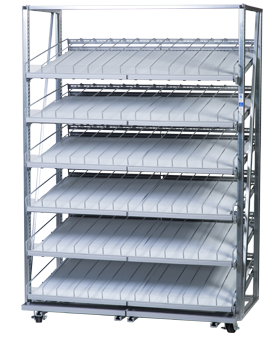 Recapture lost customers with gravity flow shelving, which stocks up to 300% more product. 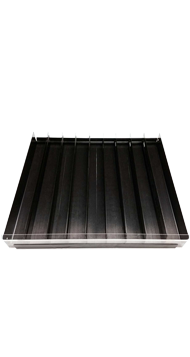 B-O-F gravity flow shelving is perfectly designed to bring wine products directly to the customer. Eliminating shrink from the occasional accident and vastly improving inventory control. Single serve sales can be a nice profit boost for liquor stores, with B-O-F shelving, keep your coolers full of the good stuff and send your sales off the charts with 40% more pack-out! 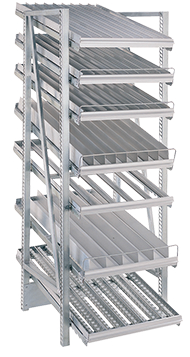 Gravity flow shelving can increase sales, reduce labor costs and hold up to 300% more! Let’s discuss optimizing your liquor store shelving today.